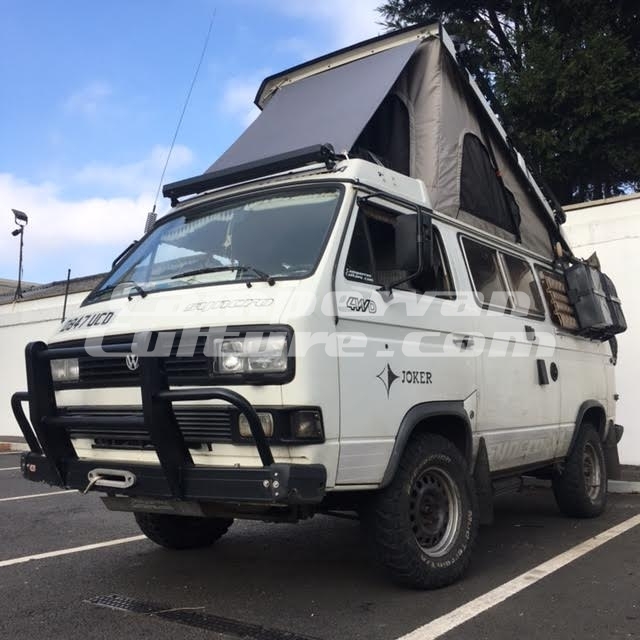 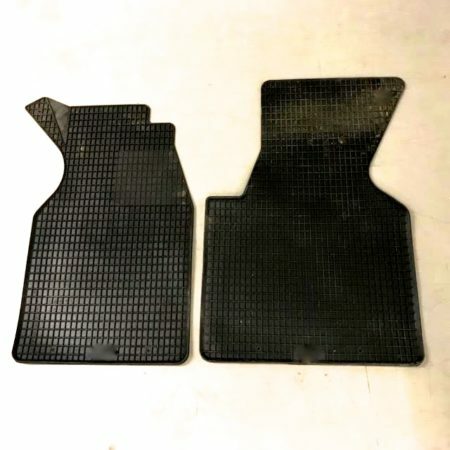 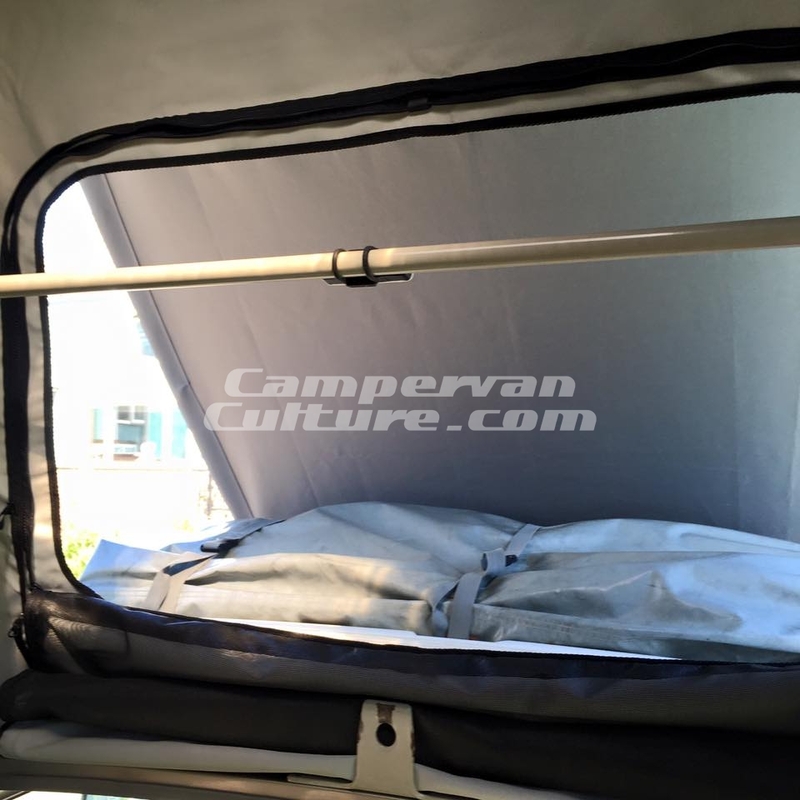 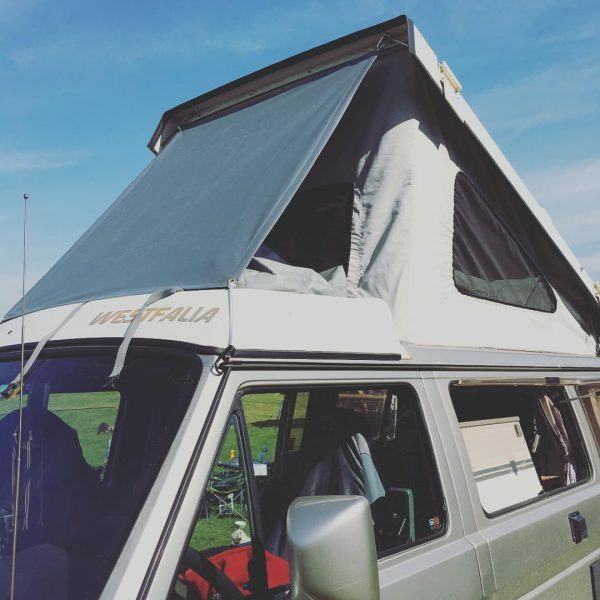 Our Westfalia poptop rainfly/sunshade attaches to your existing roof braces to give you a taut, waterproof canopy over the front cargo area in front of your poptop window. 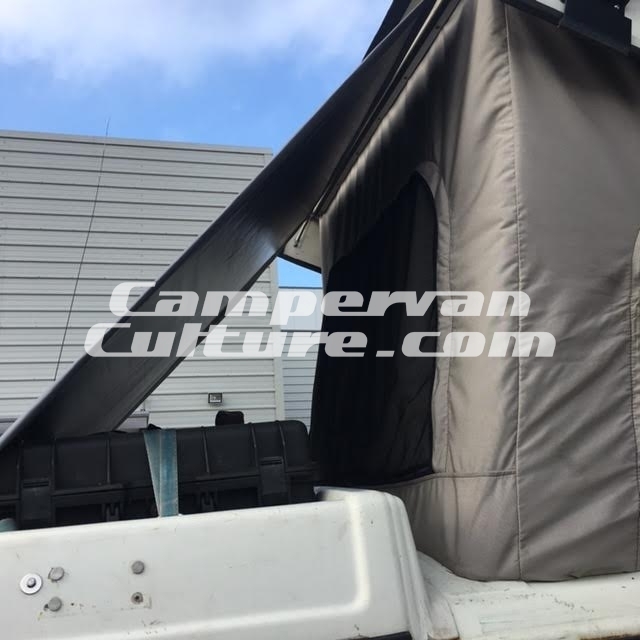 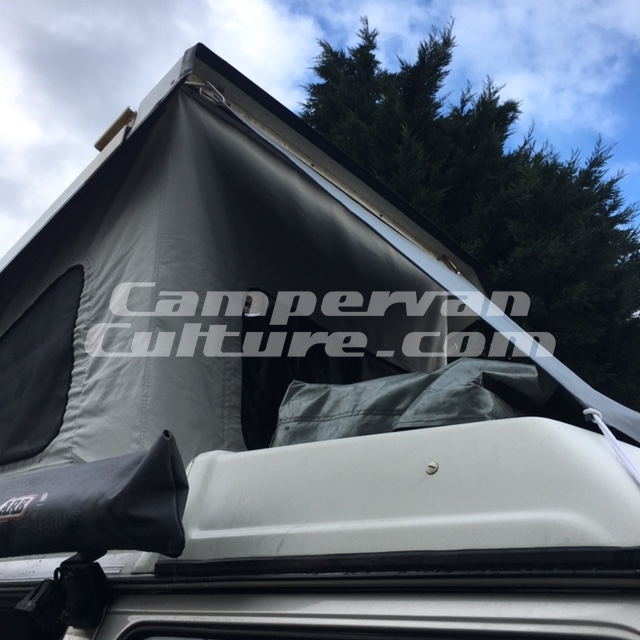 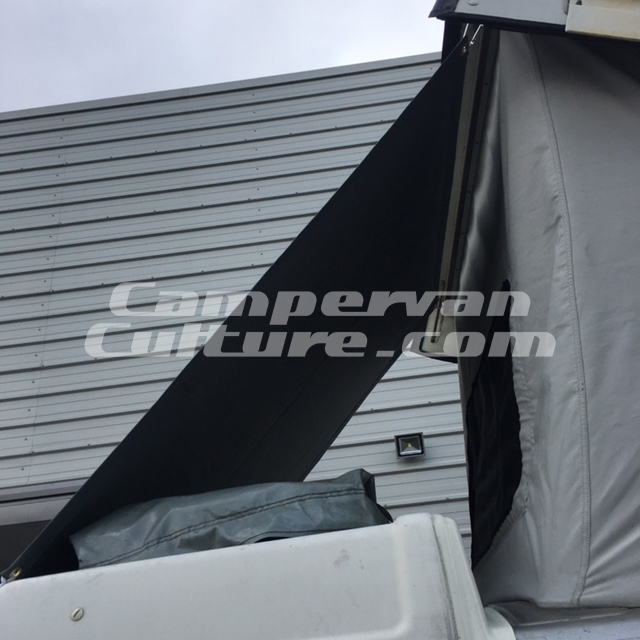 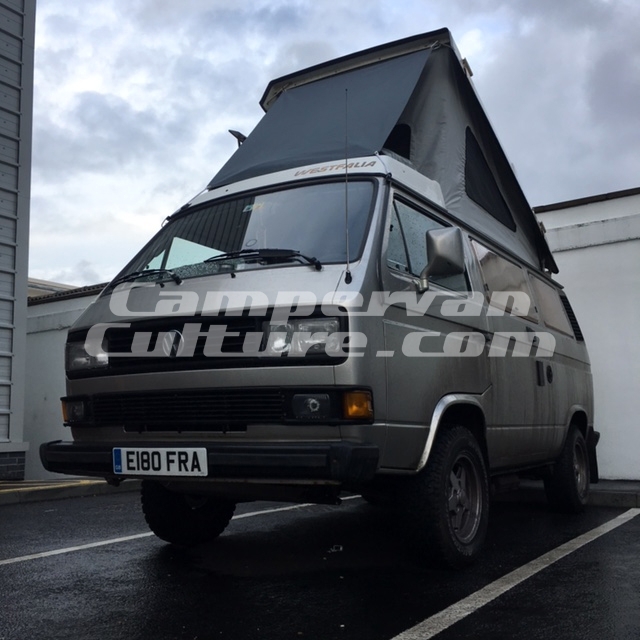 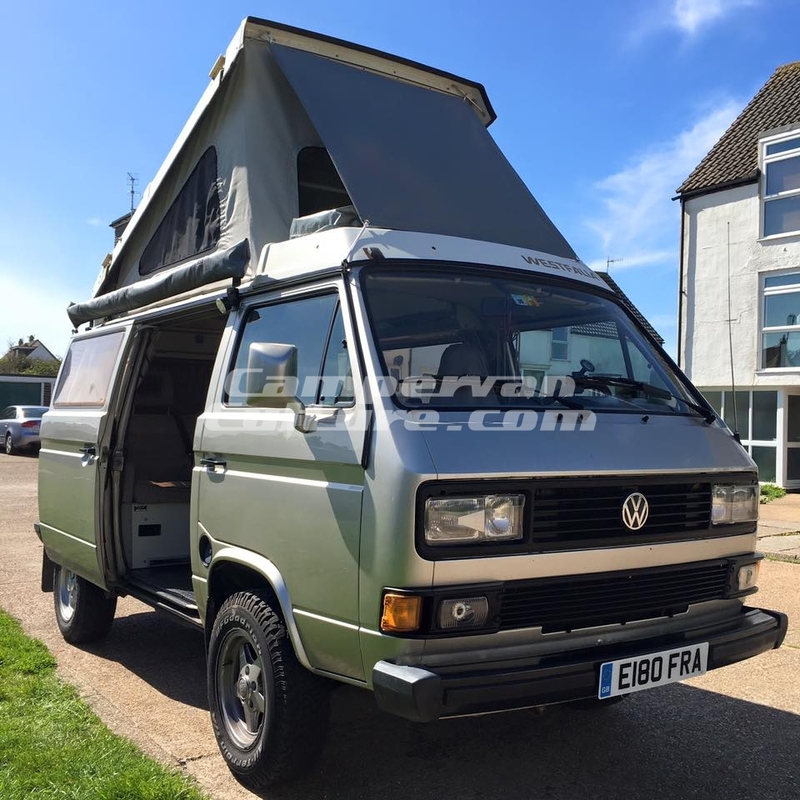 This has the benefit of acting as a windbreak, sunshade and waterproof canopy enabling you to have your poptop window open in all weathers as well as providing added privacy and protected access to whatever you might have stored in the Westy cargo space. 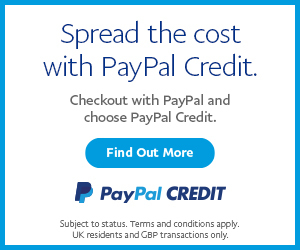 SKU: CVC-RAINFLY. 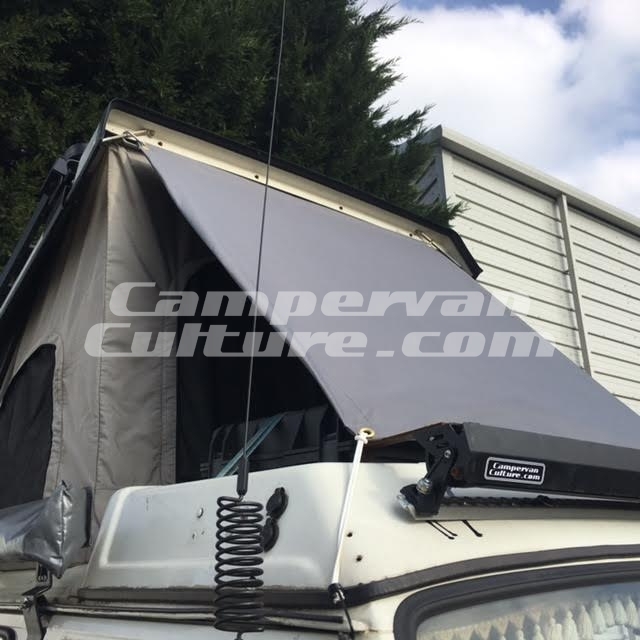 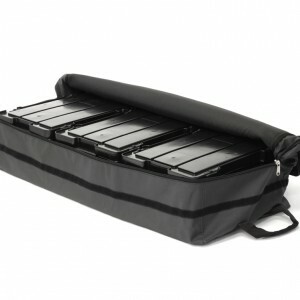 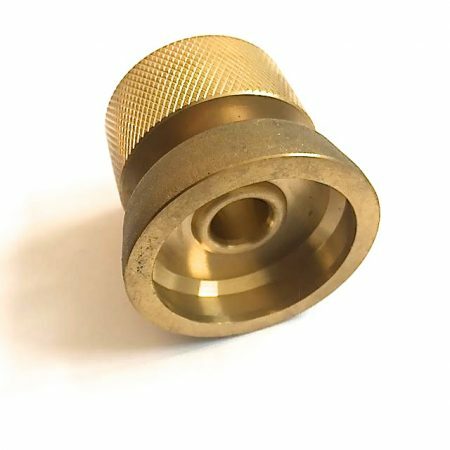 Categories: Awnings, Awnings, Tents & Shelters, Latest Products, Westfalia Exterior Parts, Westfalia Roof Parts. 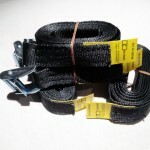 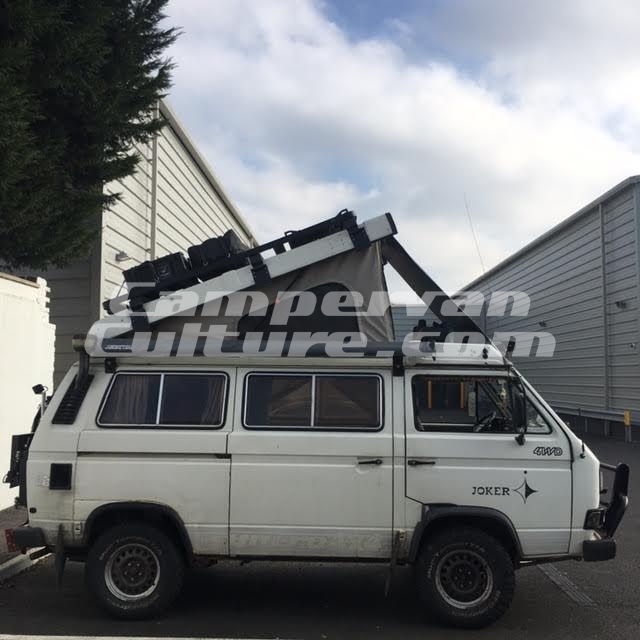 Tags: cvcwinter, mods+upgrades, rainfly, sun shade, T25, T3, Vanagon, vw, westfalia. 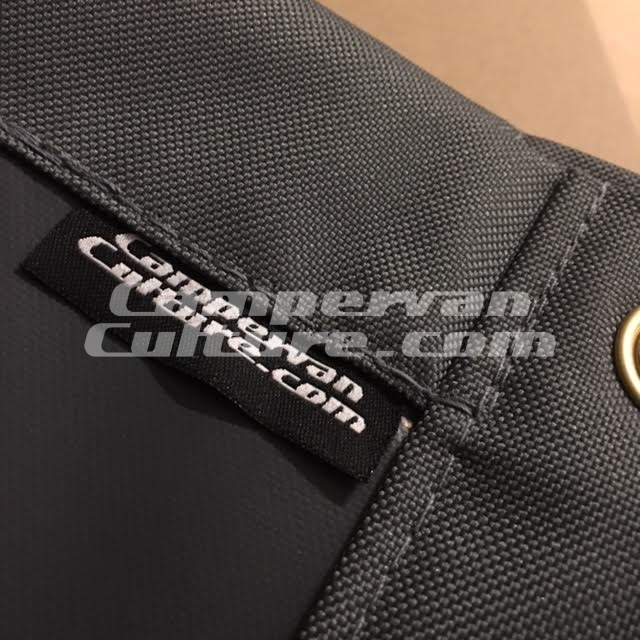 Currently only available in hi quality grey canvas with high quality stitching.